ORICO Mini Portable 4 Port USB 3.0 Hub Built-in 8 inch USB 3.0 Cable for iPhone 5s 6 6s Sumsung Galaxy Windows Mac PC Laptop Desktop (W5PH4-U3-Black) - NWCA Inc.
ORICO ultra mini USB 3.0 hub built in with a 3rd-gen VL812 USB 3.0 controller which provides an easy and reliable connection with a transfer speed of up to 5 Gbps, 10x greater than USB 2.0 that allows users to add four USB 3.0 ports for your computer in seconds. 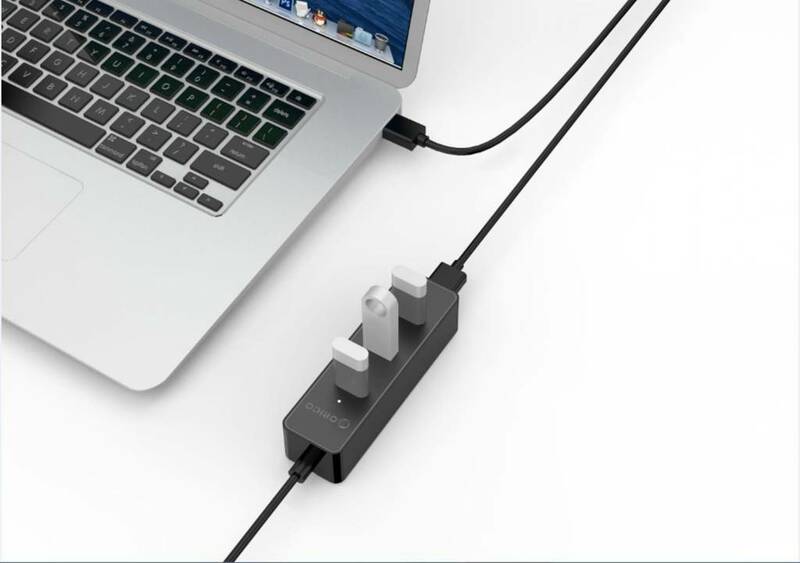 ultra slim size and integrated 10 inch USB 3.0 cable fit with any laptop, notebook, Ultrabook, Macbook, tablet and desktop. 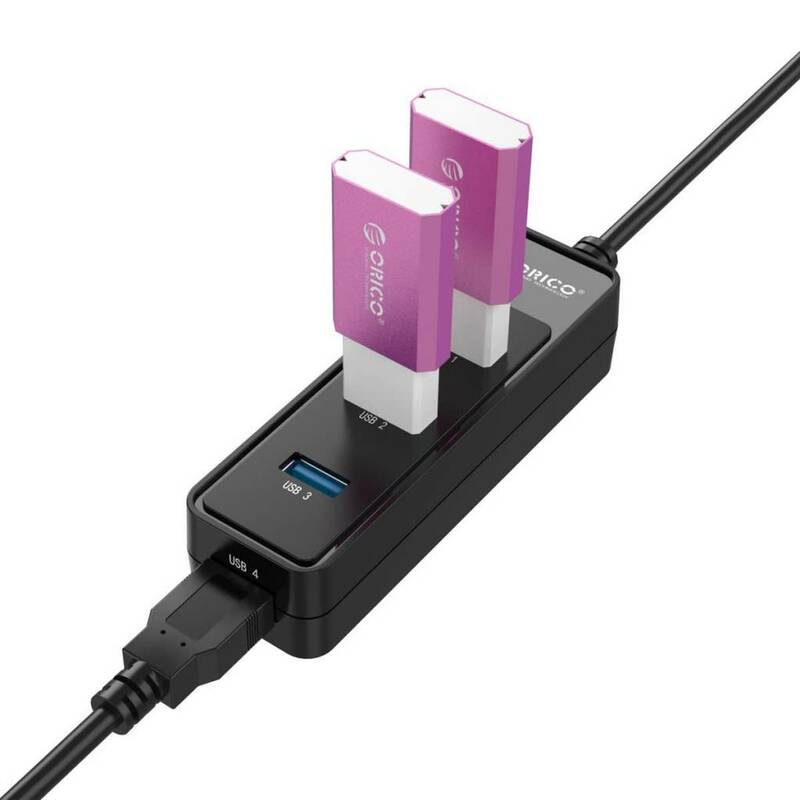 ORICO USB hub is bus powered, no additional power adapter needed. Plug & play installation means an easy way for carrying or travelling. 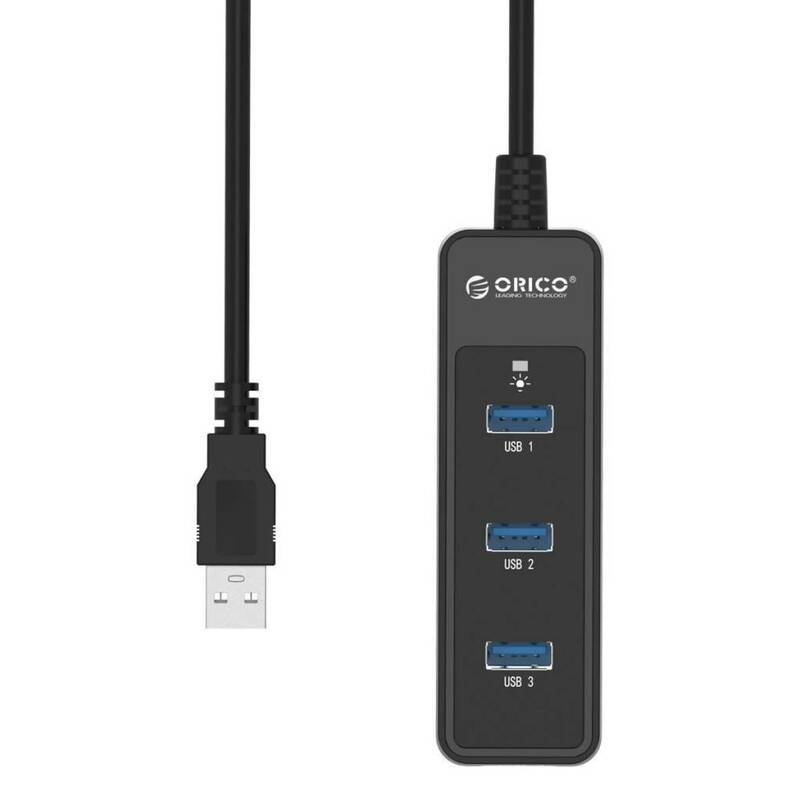 ORICO USB 3.0 hub supports USB 2.0 and USB 1.0 connections, so it is compatible with almost every portable devices, such as digital cameras, iPods and iPhones, all kinds of card readers, USB speakers, and more. 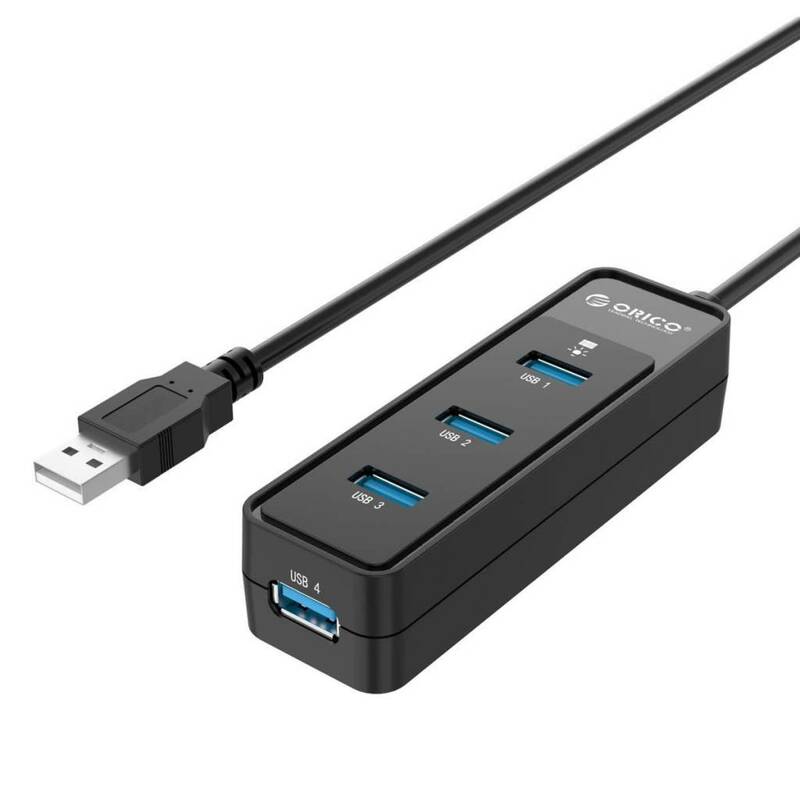 - USB 3.0 Hubs may not work well with some Mac OS X v. 10.7.X or earlier system. Apply updates for Mac OS to the latest version is recommended. - Some 2.4GHz wireless adapters, Bluetooth mouse/keyboards/speakers/headsets may not work well with USB 3.0 hosts or USB 3.0 hub. 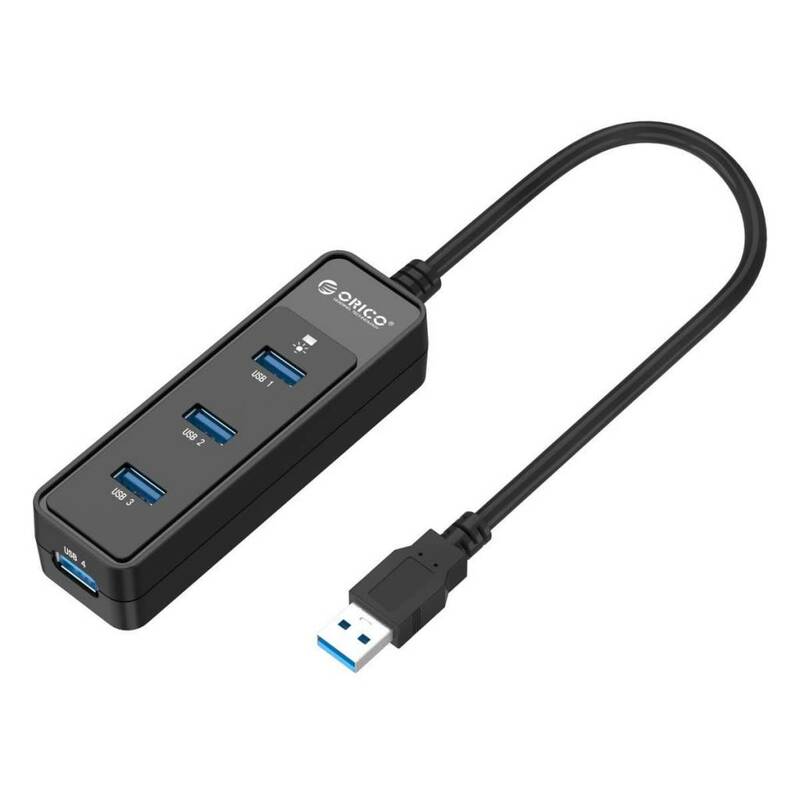 So it is highly recommended to connect these devices via native USB 2.0 ports. 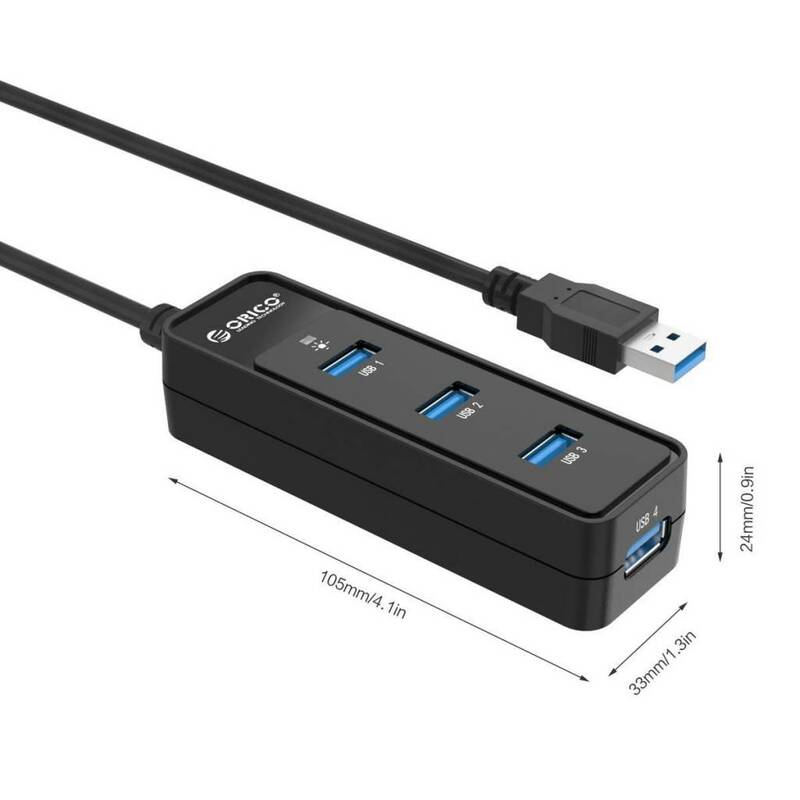 - ORICO USB 3.0 Hub does not serve as a standard charger or power supply unit for USB devices, please refer to original charger while looking for a quick and standard power supply.